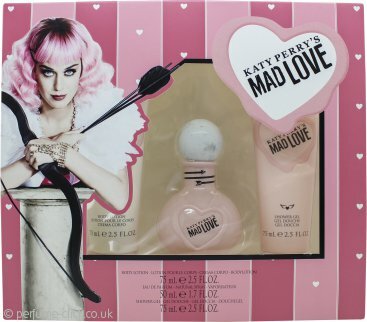 Mad Love by Katy Perry is an aromatic fruity fragrance for women. This cute and flirty scent contains sweet juicy notes that settle softly on the heart of peony and jasmine. The base is a warm sensation of musk and hints of sandalwood. Should you want a more rounded version we recommend layering it with Katy’s previous fragrance, Mad Potion, to create a sweet scent wrapped in warm vanilla. The name Mad Love is speculated to be a reference to the highly public ongoing row between Katy and Taylor Swift. Mad Love was launched in 2016.